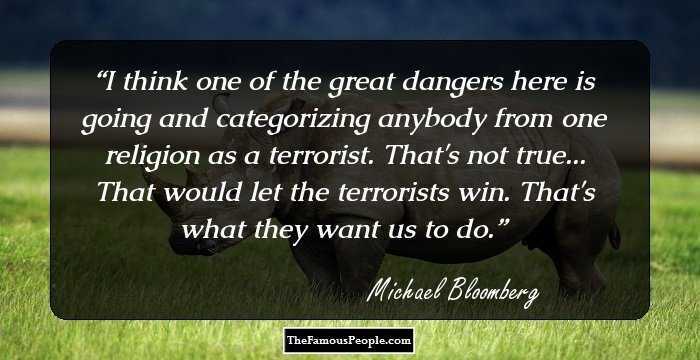 Michael Bloomberg’s quotes on belief, world, money, people, dreams, America, liberty, etc. 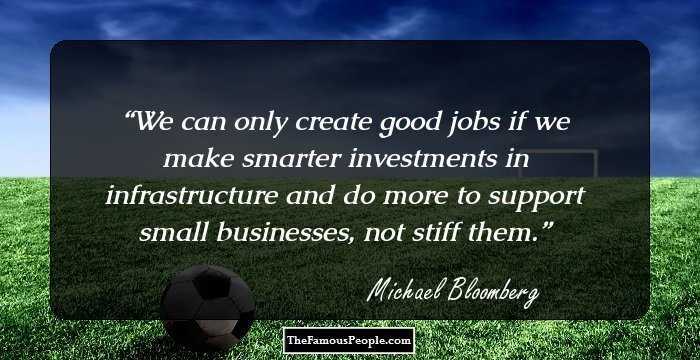 Founder, CEO, and the owner of Bloomberg L.P. global financial services, Michael Bloomberg is one of America’s well known businessmen, politicians, authors and philanthropists. He is an entrepreneur who looked at the world as an opportunity where others saw obstacles. He served three consecutive terms as Mayor of New York City, both as a Democrat and Republican. He believed that New York was a place for those who had faith in themselves and had a dream. To him, taxes were a necessary evil for those who want services. We have curated some of his thoughts and quotes from his books, speeches, and articles. 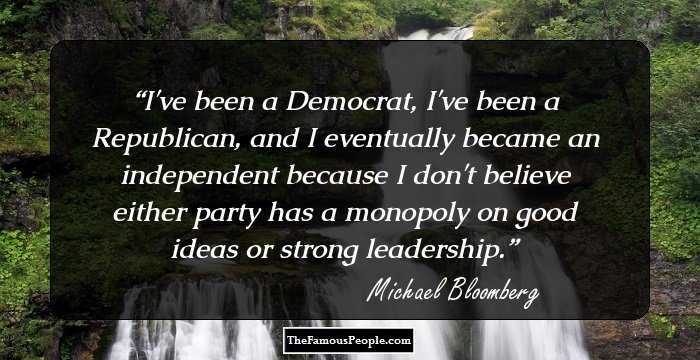 Here is a look at some of Michael Bloomberg’s quotes on belief, world, money, people, dreams, America, liberty, etc. 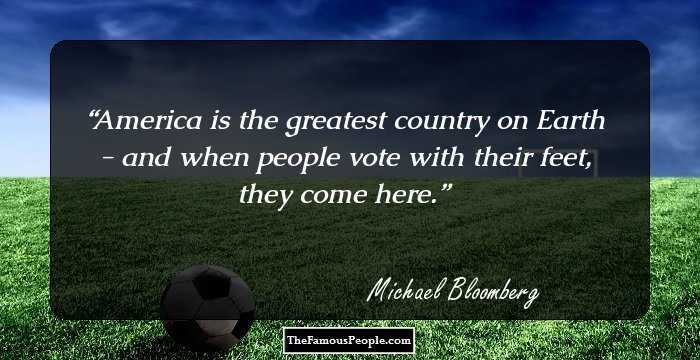 America is the greatest country on Earth - and when people vote with their feet, they come here. I understand the appeal of a businessman president. 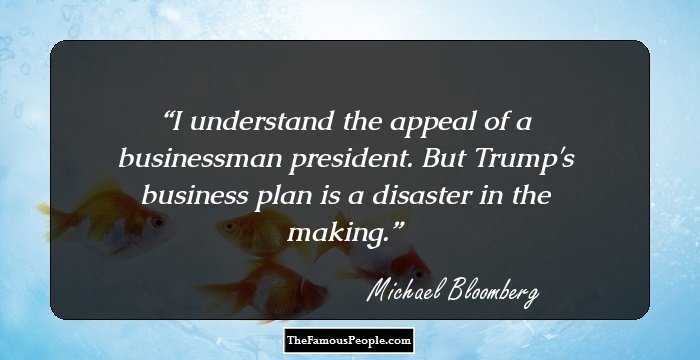 But Trump's business plan is a disaster in the making. 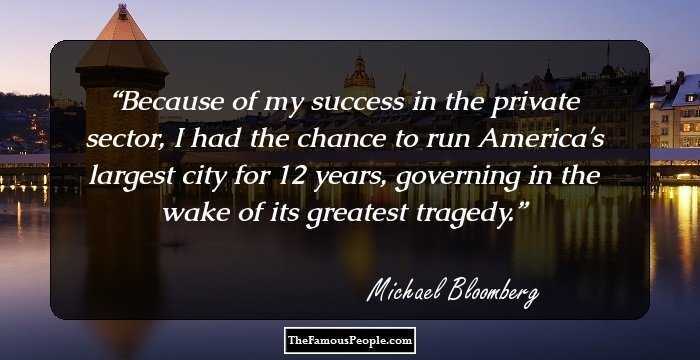 Because of my success in the private sector, I had the chance to run America's largest city for 12 years, governing in the wake of its greatest tragedy. I've been a Democrat, I've been a Republican, and I eventually became an independent because I don't believe either party has a monopoly on good ideas or strong leadership. I think one of the great dangers here is going and categorizing anybody from one religion as a terrorist. That's not true... That would let the terrorists win. That's what they want us to do. I'm trying to change the culture in New York City; that's hard enough! The level of analysis that is done when you see laws created, whether it's the city or state or federal level - it's much more horse-trading than analysis. There's a fascinating statistic: One out of every four people in America has visited New York since 9/11. It is astounding. Now, I don't know how you count it; it's some people coming multiple times. My father worked all the time. I don't know why you should be proud of something. It doesn't make you any better or worse. You are what you are. I believe in Judaism, I was raised a Jew, I'm happy to be one - or proud to be one. Government shouldn't tell you whom to marry. I've always thought if we don't want to enforce laws on the books, we should remove them from the books. But when you have laws, you breed contempt if you don't enforce them. Our goal here in New York is to ensure that every child who graduates high school is ready to start a career or start college and to dramatically increase the number of students that graduate from college. I mean, you know, we don't live in a perfect world. We should remember it wasn't so long ago that confidence in New York was in short supply. You can't depend on polls. I know something about how to build constituencies in an independent way. What chance does a five-foot-seven billionaire Jew who's divorced really have of becoming president? I'd be happy to provide advice if anybody asked me no matter who the President is. Nobody is going to delegate a lot of power to a secretary that they can't control. You know, if it's a three-way race, the public has more choice than if it's a two-way race, and has more choice in a two-way race than a one-way race. I don't believe that government is good at picking technology, particularly technology that is changing. By the time you get it done and go through democracy, it's so outdated. People use so much more health care when they live longer. I'm not going to run for president. No way, no how. You can't define what's middle class, what is wealthy, what is poor. People have no confidence that Washington, both sides of aisle, are coming together to try and do what's right for the economy. You know, I start with the assumption that -or with, with the belief that this president has to succeed. We all have an enormous amount of capital invested in his success. His success is the country's success. I think we are not serious about attacking the long-term debt problem, and that's one of the things that he's going to have to find a way to get on the agenda. Canada sets aside 36 percent of their visas for people with skills they think their country needs. We set aside six percent. We educate the doctors, and then don't give 'em a green card. Every one of my positions cuts - out half the country. 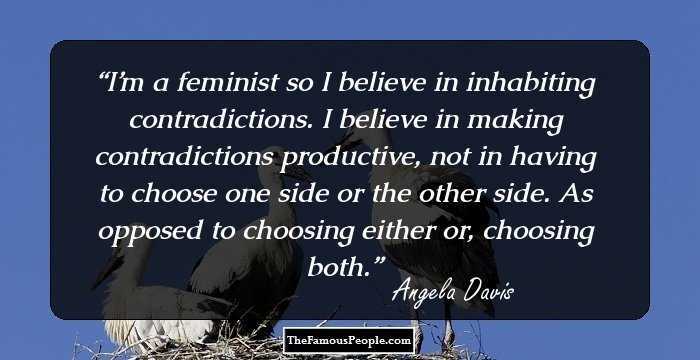 I'm pro-choice, I'm pro-gay rights, I'm pro-immigration, I'm against guns, I believe in Darwin. Ironically, it is exactly because we are a city that embraces freedom, that welcomes everyone and encourages their dreams, that New York remains on the front lines in the war on terror. Well, we have to provide the world's best schools. We certainly don't have them, but that's our objective. You are safer here tonight than you would be on the streets of any other city in the world. It's no fun to protest on an empty stomach. We can be certain that cities around the world will compete for the jobs that the next revival of the financial services industry will bring. 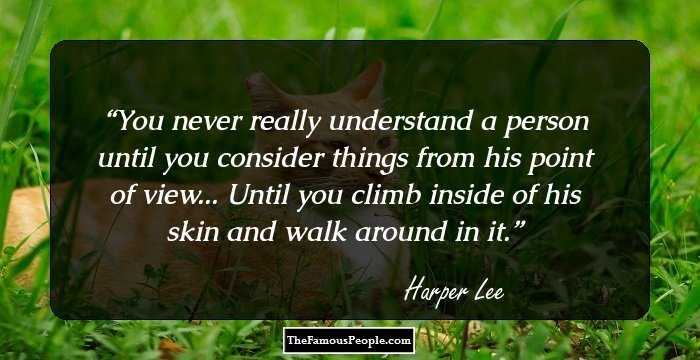 I think if you look at people, whether in business or government, who haven't had any moral compass, who've just changed to say whatever they thought the popular thing was, in the end they're losers. What has changed is that people have stopped working together. Unemployment in America today is too high. And part of the reason, unfortunately, is that many companies cannot fill the high-skilled jobs increasingly at risk of going overseas. Taxes are not good things, but if you want services, somebody's got to pay for them so they're a necessary evil. China is investing in factories in Eastern Europe, not because their labor costs are lower, but because they want to be closer to their markets. America is built around this premise that you can do it, and there are an awful lot of people who are unlikely to have done it who did. 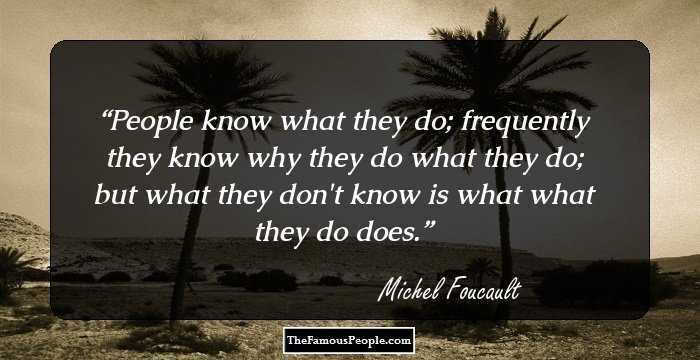 There is no accountability today... no willingness to focus on big ideas. I have the best job I could possibly have. The politics of partisanship and the resulting inaction and excuses have paralyzed decision-making, primarily at the federal level, and the big issues of the day are not being addressed, leaving our future in jeopardy. You don't make spending decisions, investment decisions, hiring decisions, or whether-you're-going-to-look-for-a-job decisions when you don't know what's going to happen. We will go forward... we will never go back. I'd be derelict in my duty if I didn't go and continue to use every advantage that I can to promote New York's cause. I know how to make decisions and stand up to the criticism every day. The cold harsh reality is that we have to balance the budget. Many of America's and New York's sons and daughters are around the world fighting for the freedoms that the Statue of Liberty stands for. When the Founding Fathers arrived here in Philadelphia to forge a new nation, they didn't come as Democrats or Republicans or to nominate a presidential candidate. They came as patriots who feared party politics. This is the city of dreamers and time and again it's the place where the greatest dream of all, the American dream, has been tested and has triumphed. I am what I am and, you know, I'm a very lucky guy. Stubborn isn't a word I would use to describe myself; pigheaded is more appropriate. 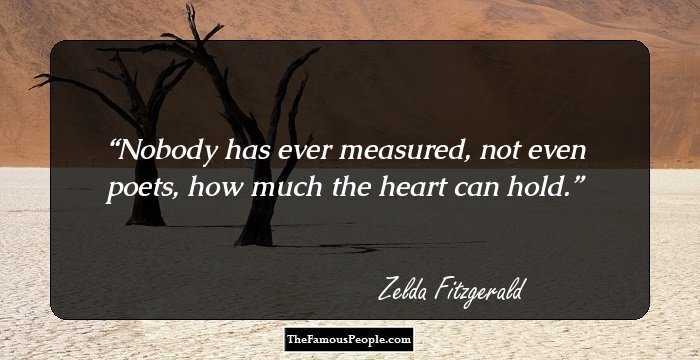 And I think the more money you put in people's hands, the more they will spend. And if they don't spend it, they invest it. And investing it is another way of creating jobs. It puts money into mutual funds or other kinds of banks that can go out and make loans, and we need to do that. If you really believe that you're making a difference and that you can leave a legacy of better schools and jobs and safer streets, why would you not spend the money? The objective is to improve the schools, bring down crime, build affordable housing, clean the streets - not to have a fair fight. We've shown the world that New York can never be defeated, because of its dynamic and diverse population and because it embodies the spirit of enterprise and the love of liberty. And because no matter who you are, if you believe in yourself and your dream, New York will always be the place for you. We may not always agree with every one of our neighbors. That's life. And it's part of living in such a diverse and dense city. But we also recognize that part of being a New Yorker is living with your neighbors in mutual respect and tolerance. It was exactly that spirit of openness and acceptance that was attacked on 9/11, 2001. Today, as an independent, an entrepreneur, and a former mayor, I believe we need a president who is a problem solver, not a bomb thrower. Someone who can bring members of Congress together to get things done. And I know Hillary Clinton can do that because I saw it firsthand. Yes, they broke the law, but we can't deport them. Let's get over this pointing fingers and do something about that, whether it - they have to pay a fine, learn to speak English, the history, you can do that. And then you have to give visas for the skills we need. The World Trade Center site will forever hold a special place in our city, in our hearts. But we would be untrue to the best part of ourselves and who we are as New Yorkers and Americans if we said no to a mosque in lower Manhattan. The people who are worried about privacy have a legitimate worry. 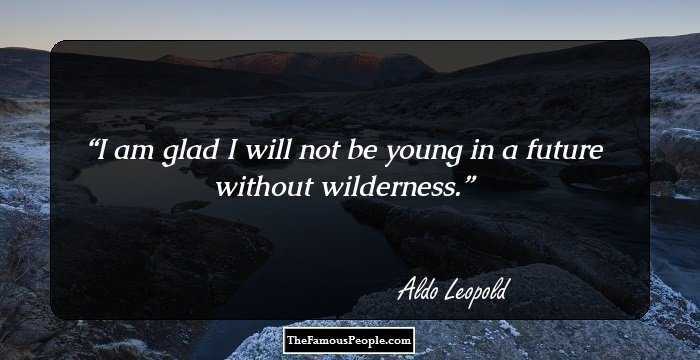 But we live in a complex world where you're going to have to have a level of security greater than you did back in the olden days, if you will. And our laws and our interpretation of the Constitution, I think, have to change. You know, if you look back in the 1930s, the money went to infrastructure. The bridges, the municipal buildings, the roads, those were all built with stimulus money spent on infrastructure. This stimulus bill has fundamentally gone, started out with a $500 rebate check, remember. That went to buy flat-screen TVs made in China. If a hurricane strikes, we can blame the president for not being there; we can blame Congress and FEMA; we can blame the state governments; but in the end, it's the mayors and the local city governments that have to be prepared for emergencies and be prepared to act. You have to take away some of tax breaks for the wealthy, and you have to cut back on some entitlements. Because, unless we do all of these things, it just doesn't work. And what's good theater and what's good politics isn't necessarily good economic policy. I've got the greatest job in the world. There's no other job in government where cause and effect is so tightly coupled where you can make a difference every day in so many different ways and in so many different people's lives. 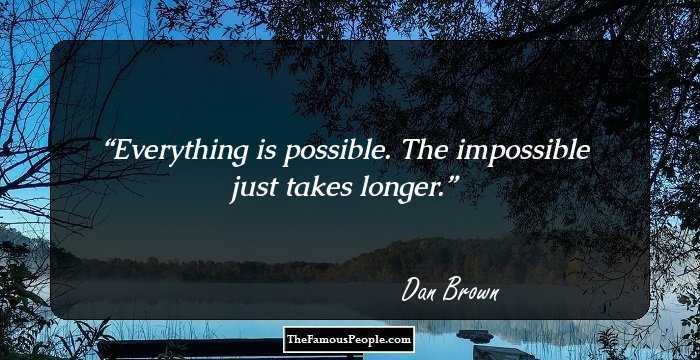 It's a great challenge. These endless legal challenges that define elections in New York are a joke in this country, and they are the reason why it is so expensive, or one of the reasons, it's so expensive to run here and why so many people decide not to run. Well, you have the public not wanting any new spending, you have the Republicans not wanting any new taxes, you have the Democrats not wanting any new spending cuts, you have the markets not wanting any new borrowing, and you have the economists wanting all of the above. And that leads to paralysis. The public is upset. If they haven't lost their job, they know somebody that has. If they haven't lost their house, they know somebody that has. What do you do? When something's wrong, it's government's job to fix it, it must be government that's responsible for causing it. If Warren Buffett made his money from ordinary income rather than capital gains, his tax rate would be a lot higher than his secretary's. In fact a very small percentage of people in this country pay a big chunk of the taxes. 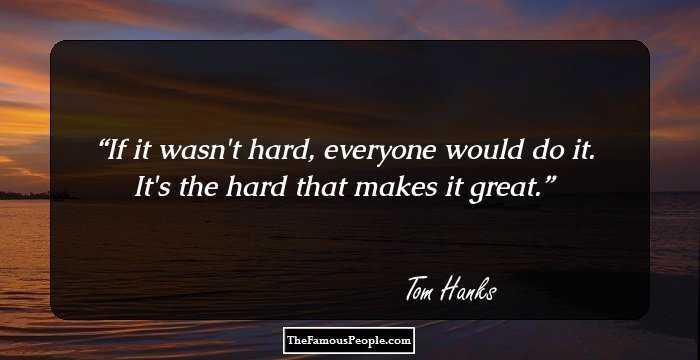 And if I were the president, I'd go out there and I'd emphasize the things I have done, and I'd say, 'Some things haven't worked, and I'm sorry about that, but I keep trying.' And I'm - and I think the president is a very viable candidate, and you're going to have a real horse race here no matter who the Republican nominee is. What goes on in Europe concerns us greatly because, if Europe comes apart, the E.U. comes apart, then you're going to have enormous impact on America, that's a very big trading partner of ours, and people own securities around the world in this day and age. I will say that walking down the street, getting on the subway, taking the elevator, if there's one or two people and they say, 'Great job, Mayor,' that is a real turn-on. I mean, anybody that wouldn't find that satisfying, rewarding, exciting, thrilling - I think they should see the doctor.